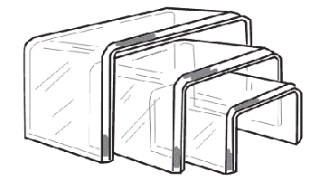 Square Acrylic Display Risers - Choose desired size or whole set. 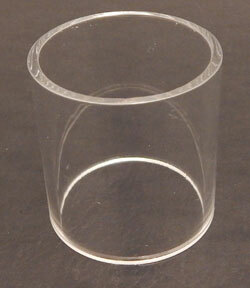 These acrylic display risers are constructed of 1/8" thick clear acrylic. 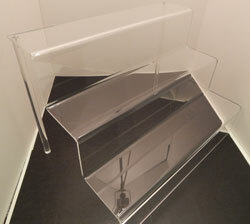 The high quality materials that these acrylic risers are constructed from ensure the maximum amount of durability. These acrylic risers are a great way to place products in a convenient area for your customers to view, and the simple design does not distract from the item on display. There are 7 different sizes of acrylic risers in this set. They are three sided and open on the front and back sides so that smaller acrylic risers can fit inside the larger ones if you wish. Use these acrylic risers to create a custom display area to your specific needs and tastes. Available separately or as a set of 7. This display riser is constructed of high grade 1/4" clear acrylic. Features flame polished edges for a smooth finish. Available in cascading sizes or as a set of 3.